When will a property development be a going concern? When is a property development an enterprise for the purposes of GST? Is development approval enough to establish a going concern? What if a property can’t be sold and is leased instead? GST and off the plan contracts – does the purchaser now pay? John is an indirect tax adviser specialising in the more complex issues in GST, wine tax and luxury car tax. He is a longstanding member of the national indirect taxes sub-committee of the Institute of Chartered Accountants in Australia and New Zealand, a Certified Practising Accountant and a fellow of the Tax Institute. 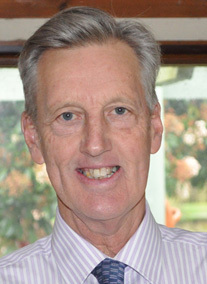 John commenced his own indirect tax consultancy in 2003. He has conducted many seminars and presentations on the major issues in GST, which inevitably involves a strong focus on real property transactions. Since the inception of the New Tax System he has written many papers on GST and is a regular presenter for the Television Education Network.